Here is a detail section for a current project’s outdoor fireplace we are working on. 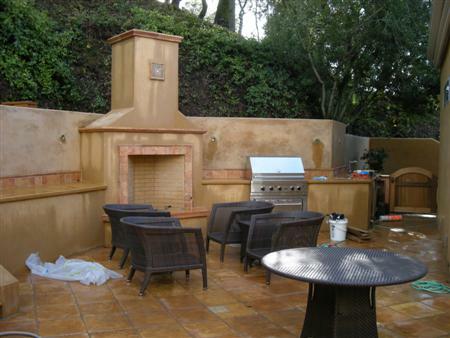 It features a wood burning Rumford design and is integrated into an outdoor kitchen. Potted trees have been integrated into the existing decking above the fireplace the help soften the chimney and integrate it into the context of the yard.